A bit of a hobby is seeing the Google keywords that people search to come to your blog. These are some of the interesting keywords and questions that people type in Google to end up at cyclinguphill.com. Unsurprisingly many things connected with cycling up a hill seems to get linked to this blog. These are some of the random keyword searches that people put into Google. However, many of these queries can be answered with three golden rules of cycling uphill. You will have to cycle up hills slowly. Get a lower gear for your bike. This makes it easier to cycle slowly. To get better at cycling uphill, you need to do more of it. Eventually after years of practise, you will be able to cycle up hills, slightly less slowly. If all else fails, moves to Netherlands, but cycling uphill is not as intimidating as it might first look. Check out these techniques of cycling uphill. check out these hill climb intervals. – Some suggest the ideal hill climb interval is a gap of about a year in between each big effort. Others of a more masochistic sort, like to see how many times they can go up and down a hill in a day. You pays your money and you take your choice. It may seem daunting at first, but once you’ve done some training to get stronger and more adept at going uphill, you will soon be seeking out the hardest and steepest hills to see what time you can do – e.g. 100 climbs. Ralph Wilson in National Hill climb, looking in great shape. This is the real secret to riding uphill – go slower. Lowering your expectations is always a good way to get through life. Another thing to consider is getting a compact chain set or even triple granny chainring (rule #2 – get a lower gear). There are some people who will tell you a granny chainring is for well ‘Grannies’ but when you’re struggling up Kirkstone pass in 39*25 – zigzagging all over the road trying to prevent yourself falling off into a ditch – you soon learn macho gears are no comfort. Get a lower gear, and enjoy the ride. You’re not alone. Just try to remove any ballast, get a lower gear and go as slow as you can. I had an 80 year old friend (Chris Hart) who in his later years would ride a recumbent bike up steep hills like Streatley Hill. It was a special bike, I think he was using a gear with something like a 15 chainring, and 38 cassette on the bike. It was remarkable sight to see this recumbent bike go up a steep hill at 2 mph without falling over. Photo: Bob Muir – from the Rake Lancashire (25% gradient). Notice handrail on side for pedestrians to hell with incline. Many riders have to resort to zigzagging over the road to get up. I’m not sure you will gain any weight after cycling hill. 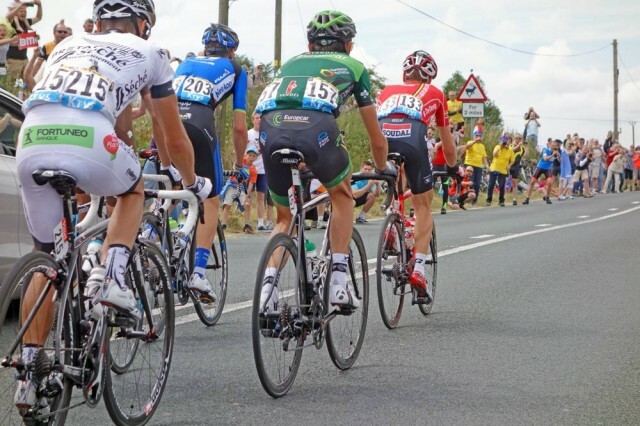 Have you ever seen how thin procyclist climbers are? In fact cycling uphill is a serious motivation to try and loose weight, you will really notice every kilo that you lose. So do I. Try cycling, it’s more fun; so long as you have the right bike and gears you’ll have much more fun than walking. Plus going down the other side is incomparably better than walking. You might get addicted to cycling uphill and before you know, you are everesting every hill in your district. You might get half way up and decide this isn’t such a good idea after all. Anything that goes up, has to come down. This is very good. You’re nearly ready to try cycling 4 hours a day uphill. This is good. You’re new to cycling. 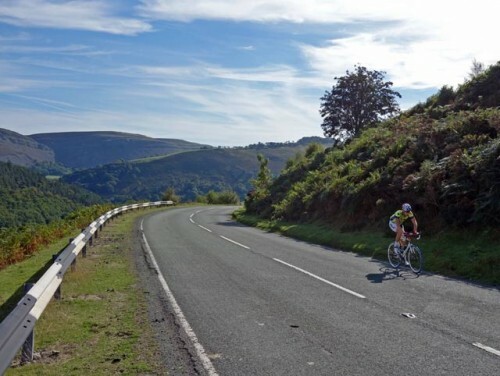 You will definitely need all three rules of cycling uphill (1. go slower) (2. get lower gears) (3. Do more hill practise) Everyone found cycling uphill hard at first. It depends on the hill and rider. Basically you want a gear that enables you to go up the hill at a decent cadence. If you’re cycling up Hardknott pass (30%) in the Lake District, you need some seriously low gears, unless you’re a super strong cyclist. 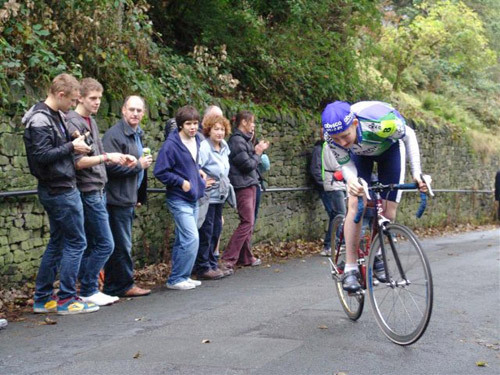 If you’re going up a hill like Cragg Vale (3%) you can go much faster and use a bigger ring. 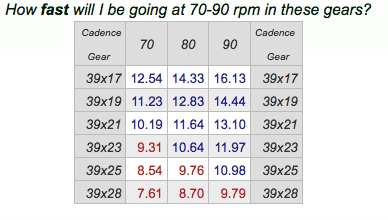 One rule of thumb is to cycle at 70-80rpm. If it’s really steep, it may be lower. If it’s an Alpine climb, perhaps higher. Once you’ve got the desired cadence (number of times you pedal per minute), then work out the gear. If you have a ordinary chainset on (inner ring of 39 teeth) and on the rear cassette a 28 ring, then at 70rpm, you will be cycling at 6mph. 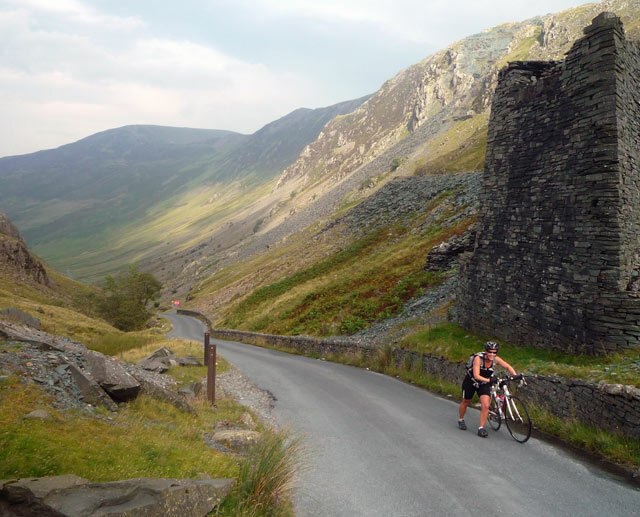 However, if you don’t think you can cycle up Hardknott pass at 6mph, you can add a triple chainset (sometimes called granny ring) Presumably because even you’re granny could get up Kirkstone pass on that gear. If you fit a triple chainset with 50/39/30. You can go even more slowly to get up that hill with less strain. 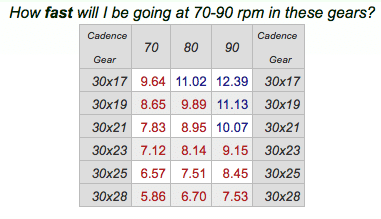 As you can see, fitting an inner ring of 30, means you can now go slower (5.86mph) for the same cadence. If you wanted to go even slower, you could put a bigger cassette on the rear. 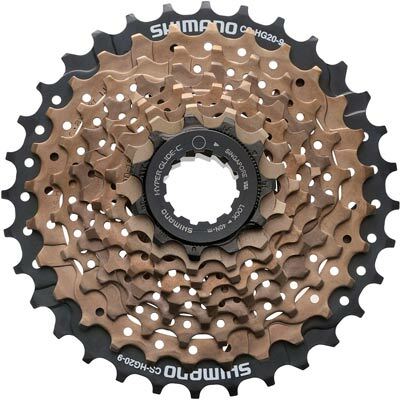 This Shimano Acera rear cassette has 32 teeth on the lowest gear – helping you to get up the steepest slopes. 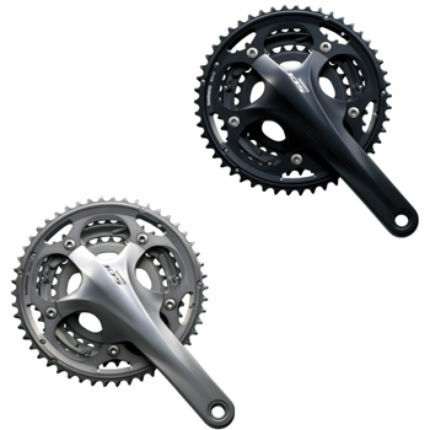 A triple chainset offers more choice of gears. On the front, you can have a smaller chainring which helps you get up steep climb. BTW: Even professionals may fit a triple chainset for some climbs like the Angliru in Spain or Mt Zonclan in Italy. If you thought that was hard…. If you think cycling uphill is hard on modern 21 gear bikes, try going back in time to the days of 20 kg boneshakers and one geared bikes. 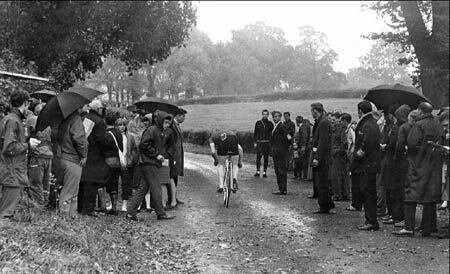 One of the oldest cycle races in the world is the Catford CC, hill Climb. 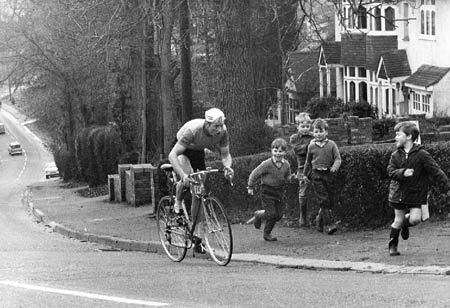 The first hill climb was back well before the days of derailleur gears. In those days ,the contest was not so much to see who was the fastest up the hill, but who could cycle the furthest up the hill without falling off; some even entered on Penny Farthings. A diminishing band of hill climb addicts still like to race on fixed gears. It doesn’t leave much room for error in gear choice. One story worth repeating. 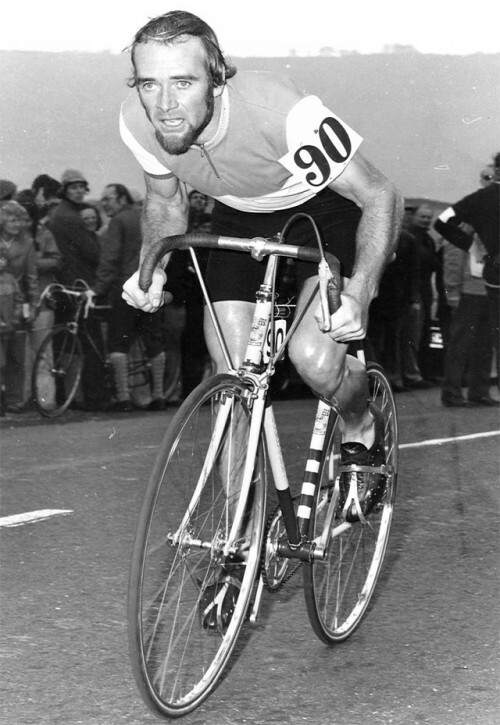 Five times national hill climb champion Jim Henderson was racing up Riber hill, near Buxton. It is a tortuous 25% hill with switchbacks. Unfortunately, he was over-geared and came to a complete stop. He had to get off, walk back down and have another go, this time with more momentum. He still finished 5th. But, it shows even national champions have to get off and walk sometimes. Black and white photos from Bernard Thompson collection. Great post – had a good laugh few times! Yes, it was special cycling amongst the TDF crowds. You will appreciate my own search keywords “is bike riding uphill dangerous” haha! Really great post, detailed description is very much informative that adds more value this site. cycling is not a easy work. when a people want to ride on uphill then its to much hard. but cycling is a good exercise for men. but I very love recumbent bike then any others bike. An uphill ride is not an easy task. But it is helpful for health.